Its my first time to receive a personal invitation from one of the famous brands in the Philippines. It was delivered at home from Maybelline Team. 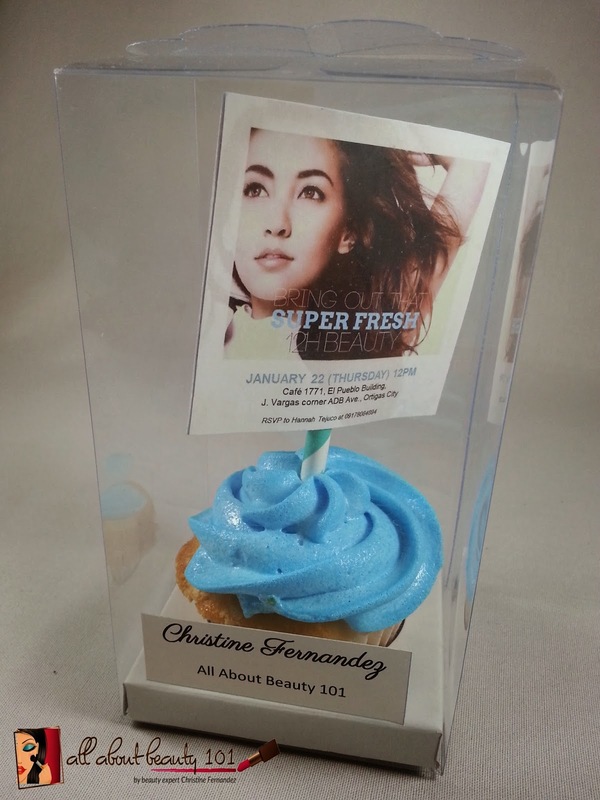 The invitation is unique and personalized as it was on top of a delicious looking cupcake. The frosting's color compliments the color of the invitation. 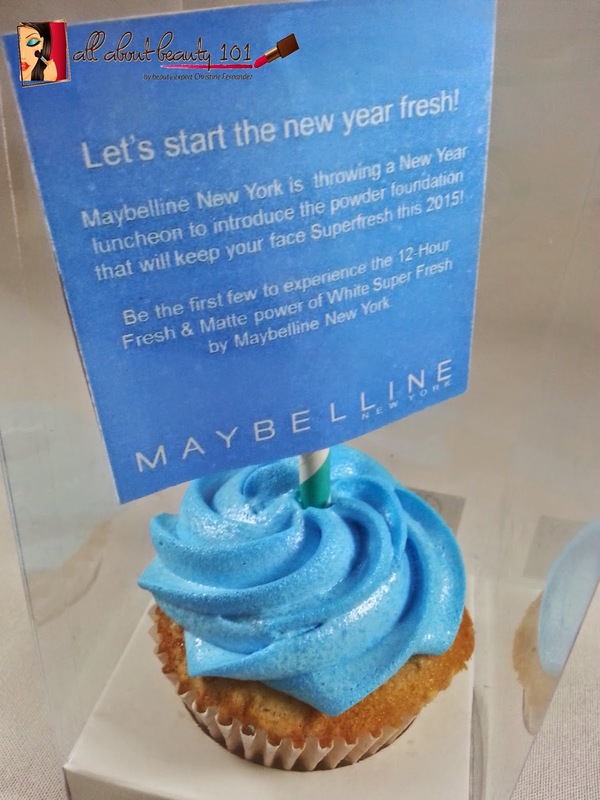 The invitation from Maybelline is about the New Year Luncheon that will be held on January 22, 2015 in Makati. In time with the new year, they will let us experience the new 12 hour Fresh and Matte power of powder foundation. I am very excited to this event and I hope I will meet new friends there. Thank you so much Maybelline for the opportunity, I will be surely present on this event. The cupcake tastes really good by the way, my favorite part is the icing - its not too sweet but really yummy. I ate it for dessert last night on my duty together with the nurse's comfort food on night shifts...McDonald's! Sorry for the share of lousy photo, just want to take one last picture before I eat all of it...LOL! For more information about Maybelline Philippines, you can go to their Facebook account here: Facebook Link.